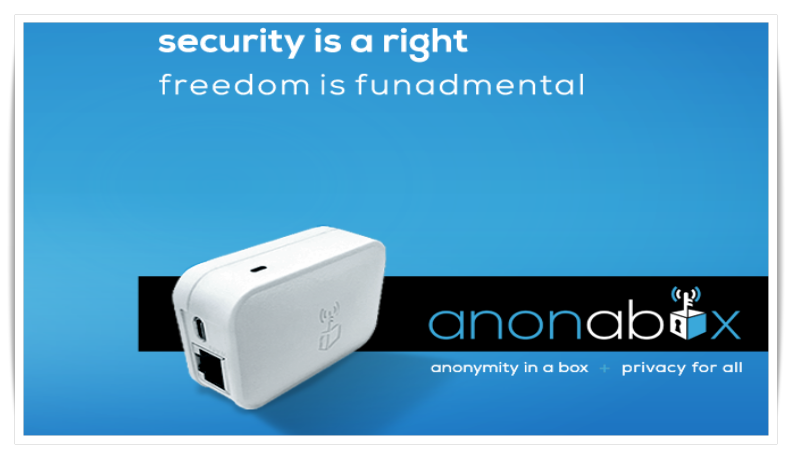 Anonabox, a hardware company focused on providing internet security and privacy for users has announced the launch of an array of innovative, small-sized new devices, which have been designed primarily to help internet users remain anonymous while surfing the net. These devices have been produced by Sochule, which recently acquired Anonabox. These tiny devices can easily fit into the palm of your hand. We can call them miniature routers too because these devices route the traffic of the devices that are connected with it via Tor anonymizing network or through a VPN to a VPN provider. These Anonabox devices may be tiny but these are highly effective. When the user connects to a website using them, his or her identity will remain hidden and anyone would find it difficult to determine the user’s identity or location even. The launch of Anonabox devices was plagued with controversy and security concerns. However, Sochule fixed these concerns in the premiere offering and also improved the suite with three distinct variants offering varying degrees of security and functionality. Initial testing revealed that this is basically a plug-and-play Wi-Fi access point that is combined with Tor router and needs to be wired Ethernet or WiFi to function. So, when a device is connected to the access point of Anonabox through Wi-Fi, its traffic is redirected to the internet route via Tor. This makes identifying the user or his/her location on the internet difficult. The Anonabox pro is also available and is much speedy and compatible with a variety of devices than the preliminary version. Anonabox pro can be connected to the internet through wireless network whereas the previous version relies upon wired Ethernet. Pro version accepts VPN capabilities along with Tor and also supports setting up a Tor-based file sharing and server. Although you can conveniently configure Anonabox device but remember that you need to shut off the Wi-Fi connection of the device to the internet prior to powering it off. If you don’t do so, chances are that you will be unable to connect to Wi-Fi when the next time you turn it on. In that case, you will have to rely upon wired Ethernet. A key benefit of Anonabox’s pro version, apart from retaining anonymity, is that it protects its users from getting identified on a public WiFi network as well as let people to connect various devices to a public wifi network but continue to appear as single on the network. The drawback is that routing every packet via Tor makes the process time consuming and this somewhat affects the internet connection’s speed and performance. When the device was tested for accessing YouTube, it turned out that smaller sized video could be accessed without any speed issues. Speed tests revealed that it offers ranges from 1megabit per second for download/upload to 5.7-download and 4.7-upload. One of the devices in the Anonabox series has a model that is named after the infamous Guy Fawkes mask, which is the symbol of hacktivists collective Anonymous. The model is called Fawkes and offers all the features of the original Anonabox device with some new add-ons like administrative interface. The last model is called Tunneler. It is only VPN dedicated and isn’t compatible with Tor. It must be noted that using Anonabox doesn’t make you completely untraceable because when someone uses Tor while allowing websites to install and check cookies, this makes a person easily traceable. Thus, using Anonabox’s series of devices doesn’t necessarily make you anonymous unless you try to be cautious about it. User behavior does affect its functioning. That being said, we cannot overlook the benefits of Anonabox over software-based implementations. The most important advantage being that users can offload Tor-based processing from the devices they are using to communicate such as smartphones, which have limited storage and processing power. Also, one Anonabox device can handle multiple Tor processes simultaneously for various computers, tablets, and smartphones. The price range of these devices is between $79.99 and $119.99.